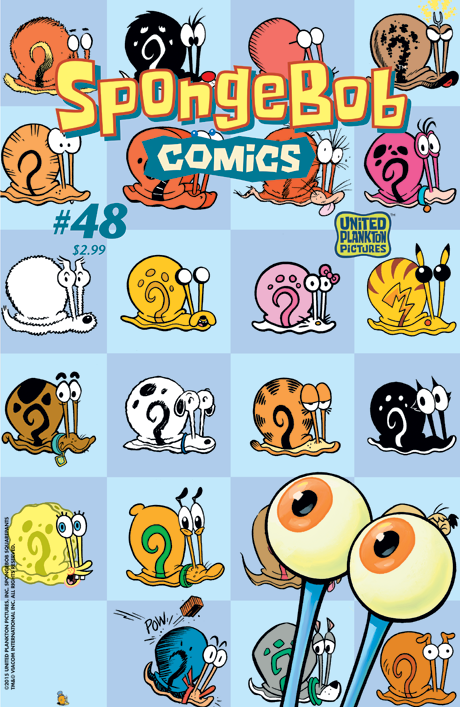 In our first all-Gary issue, SpongeBob's faithful pet snail meows his way through seven slimy stories! First, in "Have a Nice Day, Gary," Gary wriggles his way through calamity, coincidence, and cucumber eye treatments! Then, in "Gary Patty," SpongeBob names a new, experimental patty after Gary–but the snail's new celebrity may have unforeseen consequences. And in "Snail Foot," SpongeBob finally gets to experience life as a mollusk. Plus more gastropod action from Jen Wang, James Kochalka, and Maris Wicks!